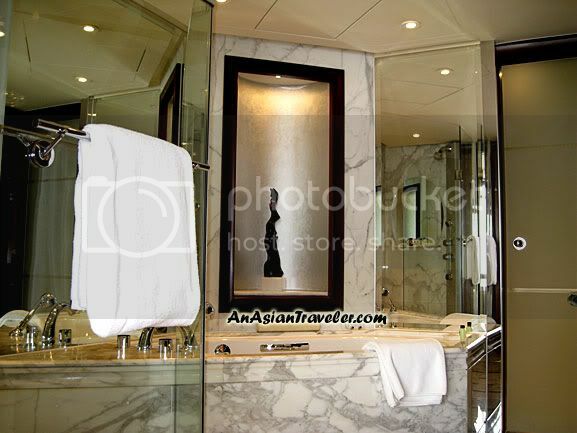 We booked at Shanghai Grand Hyatt Hotel in advance via a travel agency for a 3-day stay and were able to secure an excellent rate. It was off season so we paid the Grand Room (which I think is their standard room) around Php8,000+ a night (US$170). The original room rate is Php 15,000+ (around US$320). 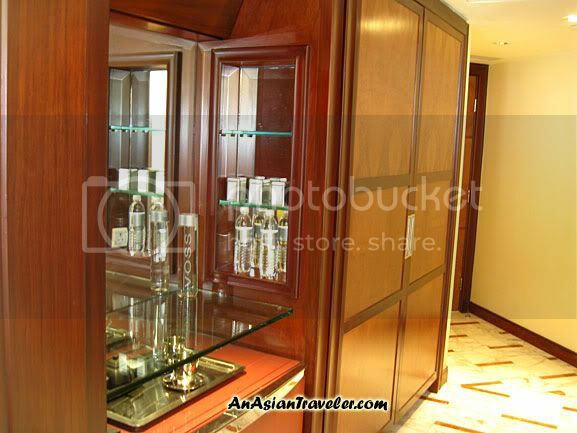 The Grand room opens into a small hallway with minibar on the right side. And the hallway opens up into the bedroom with floor to ceiling windows. For a 5-star hotel, I wasn't expecting to see a 25" ordinary TV. Our room offers spectacular views of the Huang Pu River and Pudong skyline. The marble bathroom offers a separate four-fixture bathtub and walk-in glass shower. 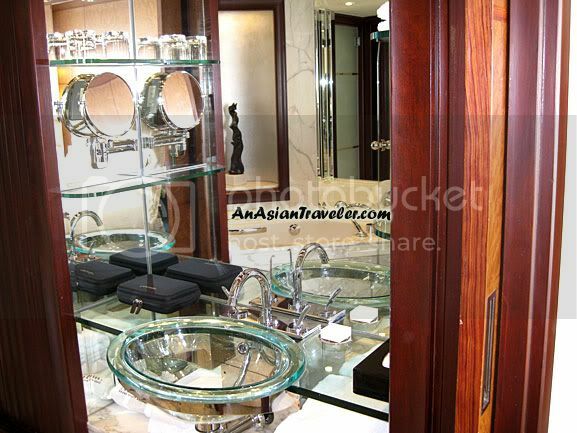 The clear glass washbasin and the high-pressure shower tower were also a pleasant surprise. 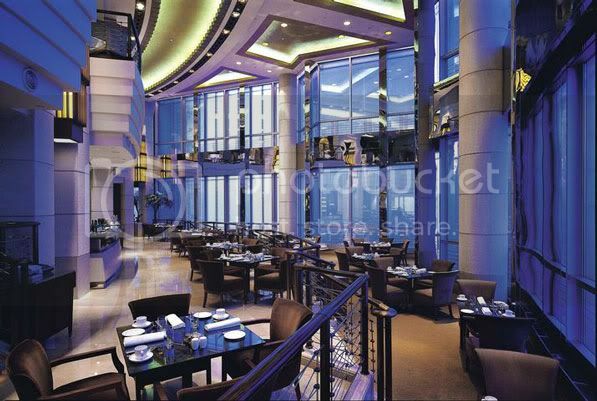 For our buffet breakfast, we sampled European and Shanghainese dishes at Grand Café located on the 53rd floor next to the lobby. Though the selection wasn't as extensive as some of other buffets we had, I was impressed with their service and the quality of the food they served. We also received a free box of chocolate. In each bite I could taste wine, the flavor was intense and long lasting. Now I'm salivating! 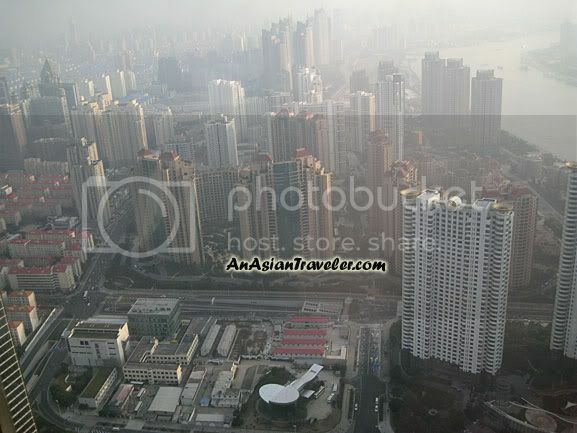 The Oriental Pearl TV Tower is within walking distance from the hotel. 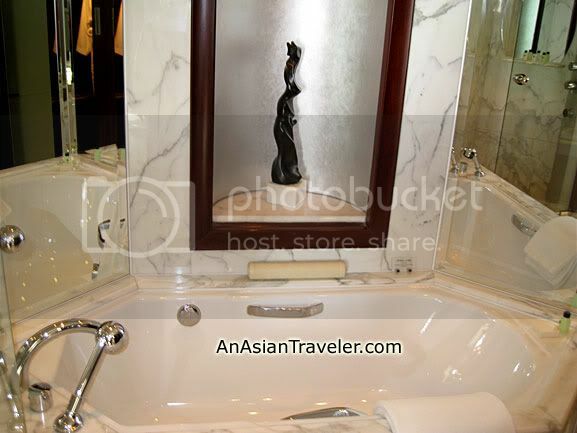 Overall, we had a wonderful stay at the Shanghai Grand Hyatt Hotel. Check-out took us only 5 minutes. It was as smooth as ice. looks great! i hvn't been to shanghai yet. Nice!!! Very Luxurious! Btw, one hyatt hotel being replaced by Thistle in JB. Thanks for dropping by My Little Sprouts! Oh My~!! The wash room is so exquisite, I would like to kill my day inside there....lol! Then my skin would probably turn into "prunes". Have a great week to you! Wow! What a nice hotel! The facilities, bedrooms and services are great. The place is also beautiful for landscape views. It has an amazing background to it.